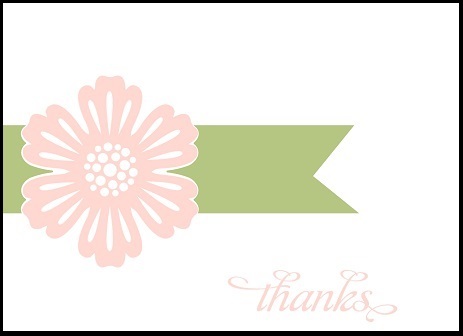 First is the Traditional card. 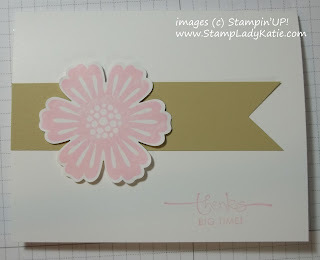 The flower image from the Mixed Bunch stamp set was stamped in Pink Pirouette ink and Punched with the Blossom Punch. The sentiment used here is from a set called A Word for You. By the way: I love the font used in this set. Next is the Digital card. I was trying to make it exactly the same but ended up using different colors for the banner. The banner on the traditional card is River Rock and the one on the digital card is Certainly Celery. 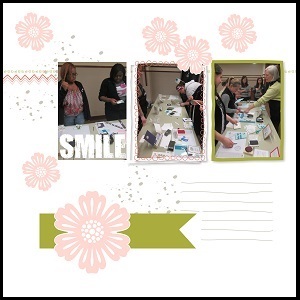 The two scrapbook pages below are made from images taken at a recent event. Last week I taught a class at Edgewood College. The students made a card similar to the one on the top and I wanted to show how our digital software can duplicate the traditional stamping and scrapping. So, a mixed bunch of projects and formats. 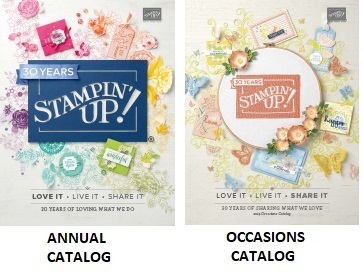 But the thing all these projects have in common (besides the Mixed Bunch stamp set), is that they are all pretty easy. 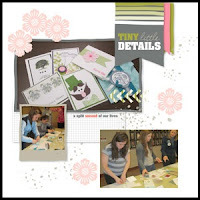 And in case you are wondering how easy it was to design the scrapbook page - well, I must confess a secret. I didn't really do much of the designing. I used one of the templates that comes with the MyDigitalStudio program and just changed up a few things. So it really was easy. Stampin'UP! 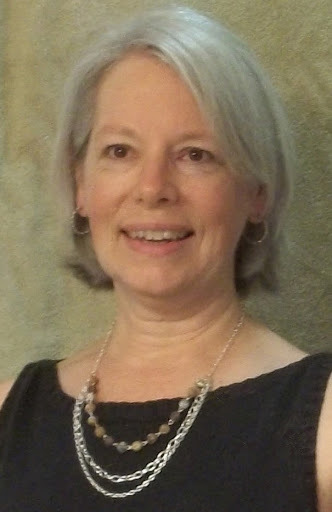 's digital software is called MyDigitalStudio. The program has just been upgraded and simplified with a reduction in cost. You can now get the FULL PROGRAM for only $19.95. This is really inexpensive and I'm finding it so much fun. 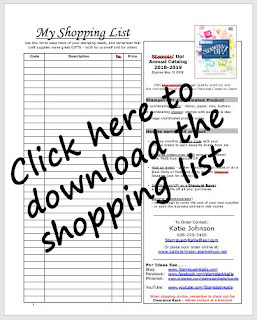 If you've ever thought about digital scrapping and stamping then you really should try this. And by the way: for only $20 this program also makes a great gift.